I’m going to go ahead and point out the homerism here. Kyle Seager does NOT deserve to be an All-Star. You really shouldn’t carry 3 guys from a single position, and Seager is both an unproven commodity in the majors and the #3 third baseman in WAR. The idea is that you want the best team on the field to help you win. Do you HONESTLY think that when it gets down to it, a guy with ugly left-right splits like Seager is going to be the answer? No, a lefty is going to come in from the bullpen and shut his .243 AVG and .679 OPS against lefties down without issue. And Darvish is a snub? If we’re going to play the WAR game (which you seem to be doing here), then are you honestly of the belief that 12 SPs are needed for an All-Star game? Darvish is 12th in AL WAR, so do you really think 12 SPs is a good idea? Maybe he is an alternate for the guys who pitch right before the game, but as a primary candidate? I would rather go with about 8 starters, if that, then pile on the power relievers. And how J.J. Hardy is a snub with the #5 AL SS WAR (right behind…JAMEY CARROLL) is beyond me. Yes, WAR is a big deal. It shoudl be given its due attention in analysis like this. However, there is a level of reputation and career achievement that shouldn’t be ignored. I’d take probably 5 AL third basemen over Seager because they’re outperforming him and/or have done more to give me the faith to let them come in late and hit. That would include the likes of Lawrie, Moustakas, Rodriguez, Cabrera, and Beltre for sure. Seager’s not a rational pick. You’re simply giving WAY too many SPs credit here. You can’t go rostering 12 of them, it’s not rational. Overall, you have 20 snubs listed. 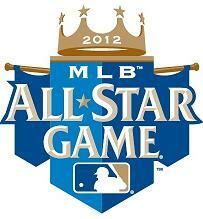 Can you actually find 20 underserving All-Stars on that AL list? And would you REALLY carry 6 OFs? On top of it, you’ll kick off Trout, Hamilton, Bautista, and more? This list seems more like the list of guys who would be on the All-Star team if you doubled its size, rather than a list of players unjustly left off of the team. I understand that Seager doesn’t deserve to be an All-Star. And that is why I don’t think he will be. But, when I did make this post four days ago, Seager was third in 3B WAR behind Lawrie and Moustakas, ahead of guys like Cabrera, Beltre, and Rodriguez. Cabrera’s been on a tear the past four days (0.7 WAR) so I’ll give you that, but Rodriguez is second-to-last on the list of eligible 3B in WAR so far in 2012. He’s on the downhill slope and I think there is plenty of reason to leave him off the team. So I don’t understand why you’d call me a homer when technically (going off of WAR) Seager was high enough in 3B WAR to justify him getting a spot on the team. And I think you’re putting too much stock in to the list of “snubs”. Those are guys that I think are putting up solid 2012 campaigns but just aren’t good enough to make the team. I’ll re-word it now.